PRESS RELEASE – On December 12, 2014 the Commemorative Air Force (CAF) Red Tail Squadron received a Pinnacle Award from the International Council of Air Shows (ICAS) at the Council’s convention in Las Vegas. The award, launched just this year, recognizes innovation, progressive ideas and originality in the air show industry. The CAF Red Tail Squadron won the award in the civilian performers category.The mission of the CAF Red Tail Squadron is to educate audiences across the country about the history and legacy of the Tuskegee Airmen – America’s first black military pilots and their support personnel – so their strength of character, courage and ability to triumph over adversity may serve as a means to inspire others to RISE ABOVE obstacles in their own lives and achieve their goals. 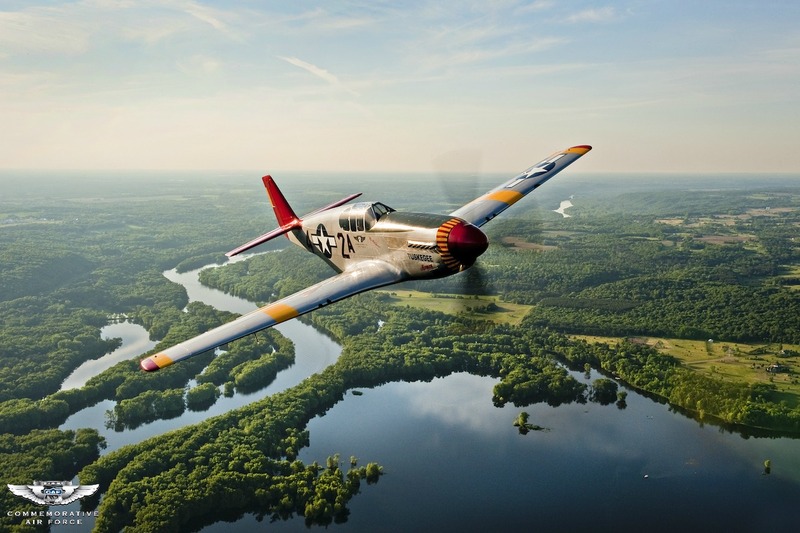 This is accomplished through a three-fold outreach program that includes an authentic, fully restored WWII-era P51C Mustang, the signature aircraft of the Tuskegee Airmen; the RISE ABOVE Traveling Exhibit 53’ mobile theater featuring the original panoramic film “Rise Above”; and educational materials and programs for teachers and youth leaders. Inside the RISE ABOVE Traveling Exhibit, at visits tailored to youth, students are lead in an interactive discussion prior to and following the showing of the film “Rise Above” to engage them in thinking critically about concepts such as ambition, opportunity, drive and courage. When possible, original Tuskegee Airmen attend events and lead these discussions themselves, not just as celebrity guests, but also to further humanize the legacy of the Airmen and how their experience can resonate with the lives and struggles of young people today.Individuals, businesses and foundations that are interested in supporting the educational outreach efforts of the CAF Red Tail Squadron can learn more about sponsorship opportunities by contacting LaVone Kay, marketing director, at info@redtail.org or (888) 928-0188. One-time or recurring donations can be made securely online at https://secure.qgiv.com/for/crts or sent to the CAF Red Tail Squadron at 971 Hallstrom Drive, Red Wing, MN 55066. 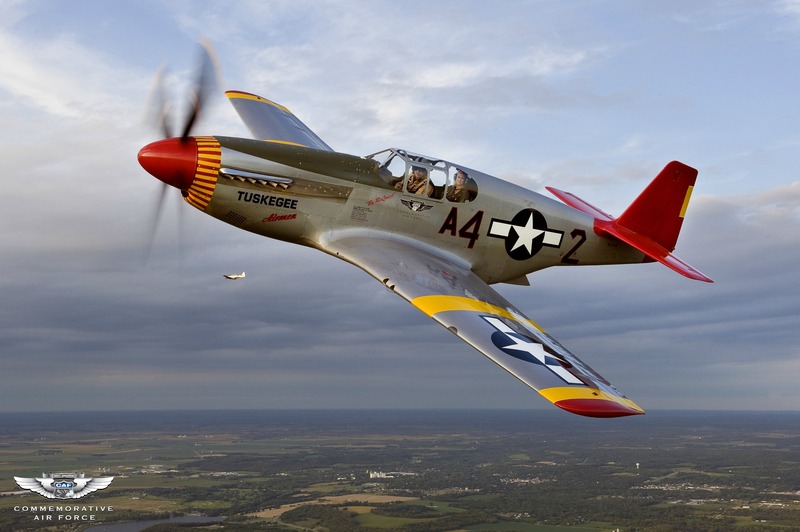 The CAF Red Tail Squadron is a volunteer-driven 501(c)(3) charitable organization dedicated to educating audiences across the country about the history and legacy of the Tuskegee Airmen, America’s first black military pilots and their support personnel. 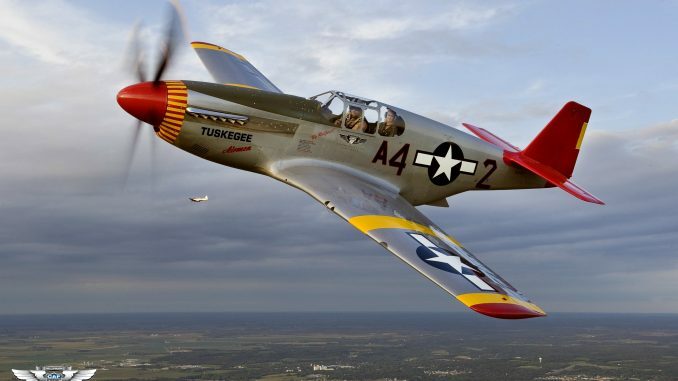 Their three-fold outreach program includes an authentic, fully restored WWII-era P51C Mustang, the signature aircraft of the Tuskegee Airmen; the RISE ABOVE Traveling Exhibit 53’ mobile theater featuring the original panoramic film “Rise Above”; and educational materials and programs for teachers and youth leaders. The CAF Red Tail Squadron is part of the Commemorative Air Force (CAF). To learn more about the organization, its mission or to become a donor, visit www.redtail.org or follow the Squadron on Facebook at www.facebook.com/cafredtailsquadron. Great pictures and news, thank you.